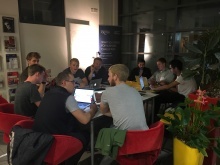 Students from across the five SETsquared Universities came together from 13th to 15th October for a 3-Day Start-Up (3DS) event, organised by the University of Exeter Innovation Centre team. 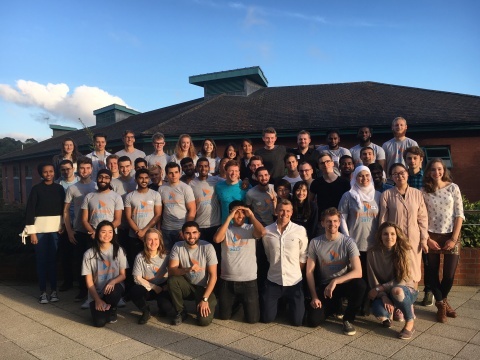 From over 250 applications, 50 promising undergrad and postgrad entrepreneurs were chosen to take part in an intensive 50-hour weekend enterprise programme. 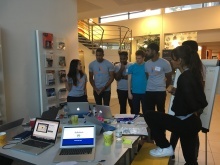 The original concept was developed by the University of Texas and is now run as a not for profit enterprise, with events taking place across the globe. Each of the 50 entrepreneurs that took part came along armed with a business idea. These were all pitched and the students chose the top seven strongest ideas to form teams around. One of the key benefits of this approach is that each team was cross-disciplinary and cross university – so everybody benefitted from new expertise and ideas. Once the concepts have been chosen, the programme takes the students through workshops on the lean canvass, customer discover whereby they go out into the city centre and ask for feedback on their business ideas, business model development with mentoring and then a final pitch session on the Sunday afternoon with feedback from judges. MyMedicine An app to help people remember to take their medicine. It raises awareness of what’s in pharmaceuticals and is particularly useful for those caring for elderly relatives to ensure they have taken their medication. Take Note An app which records and transcribes meetings. Klenk An app which enables people to connect across all social media platforms they are on by simply putting their phones together. Luris A website to help Personal Injury Claim solicitors find customers. DiabeteIt An app to help those diagnosed with Diabetes to help monitor blood sugar, track diet and nutrition. Fill Me Up A sharing scheme that enables water bottles to refilled and recycled. VR Interior Design Software that uses virtual reality to design buildings and homes.